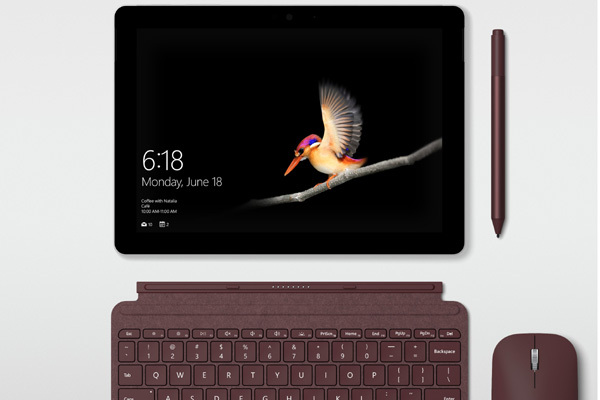 Microsoft, a leading technology company, has announced the launch of Surface Go - the most portable and affordable Surface product yet in the family of devices. Lightweight, productive, and accessible to more people, the Surface Go is Microsoft’s smallest and lightest Surface yet, said a statement from the company. The power and connectivity in a device this small gives the style and productivity that Surface is known for in a more convenient package. At just 1.15 pounds and 8.3 mm thin, it packs portable performance into a 10” device. Starting at $399, Surface Go represents a new entry point for the Surface family, while keeping the premium qualities that have come to define it. The device offers a stunning, custom-built high-resolution PixelSense Display that supports Surface Pen with 4096 levels of pressure sensitivity, low pen parallax, low latency, and precision for accurate note taking, drawing and computer-aided design. The custom calibrated 3:2 display is soft on the eyes while working on high-contrast or watching videos, create art, or editing photos. The Surface Go is powered by the 7th Generation Intel Pentium Gold Processor 4415Y, in a fanless design, offering up to nine hours of battery, with optimised power, performance, and battery for the most critical tasks people perform every day. Surface Go also has the ports customers need, including Surface Connect for charging and docking; USB-C 3.1 for data, video, and charging; a headphone jack; and a MicroSD card reader for storage expansion.